FANNY is a fairly wonderful life-slice, lovingly brought to the big screen by producer-director Joshua Logan. He adapted from a musical play he’d co-authored, itself taken from a trilogy of stories by Marcel Pagnol ( filmed in the 30s, in France). Logan dropped the songs here, letting the story’s humor, warmth and drama speak their own grace notes. Julius J. Epstein did the screenplay for Logan, and blended in elements from all versions. ‘Fanny’ is the daughter of a fish peddler on the Marseilles waterfront. Two men love her. One is a boy she’s grown up with, who works in a small bar owned by his father, while yearning for life as a sailor. 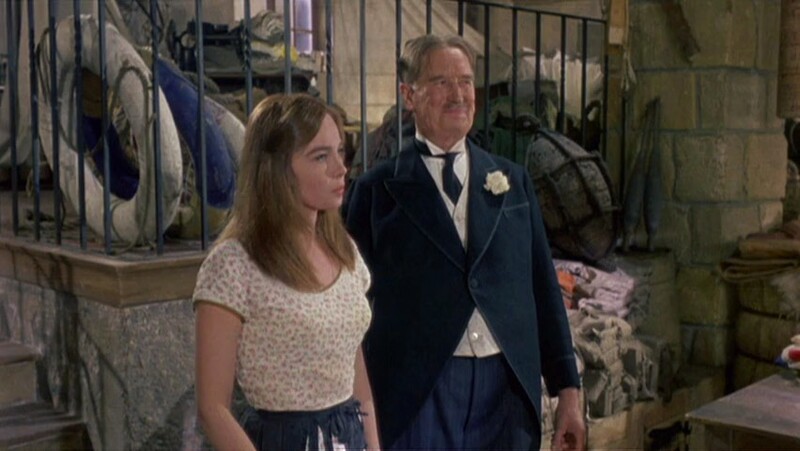 The other is a prosperous shop owner, who happens to be the lifelong crony of the boy’s father. One offers passion, the other security; the choices they all make are at the heart of the tale. Under the expert eye of Jack Cardiff, expansive location photography in Marseilles soaks in enough color and atmosphere that you’ll feel like a resident, and Harold Rome’s music score offers wistful backing. Four fine performances ice the cake. 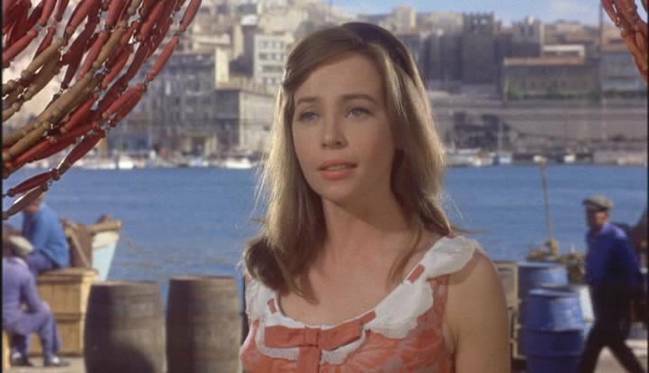 Leslie Caron is at her loveliest and most expressive as the conflicted heroine. Maurice Chevalier as the elder suitor and Charles Boyer as the best friend bore esteemed resumes and while both would make movies after this, their hearty distillations of affection and charm here serve as an admirable capper to dual careers. Their scenes together (they were old friends off-screen) are a richly comic joy, and they’re each allowed serious moments touching in their honesty. Horst Buchholz made his niche on intense characterizations: the myriad emotions playing across his sharp features will strike chords with those who’ve ever felt trapped by fate and beckoned by the horizon. Attending the leads are Baccaloni, Raymond Bussierres, Georgette Anys and Victor Francen. Lionel Jeffries pops in for good measure. One small critique is the length, which could have sufficed with 105 or even 120 minutes. At 134 it puffs a bit, as though Logan didn’t want to let his characters go. You’ll likely enjoy them so much you won’t begrudge the padding. The 1961 film was a financial success, grossing $12,100,000. It drew Oscar nominations for Best Picture, Actor (Boyer), Cinematography, Music Score and Film Editing. It has a big heart, and happily enough wit and wisdom guiding it that the sentiment isn’t cloying, but glowing, a vibrant celebration of life, friendship and love.